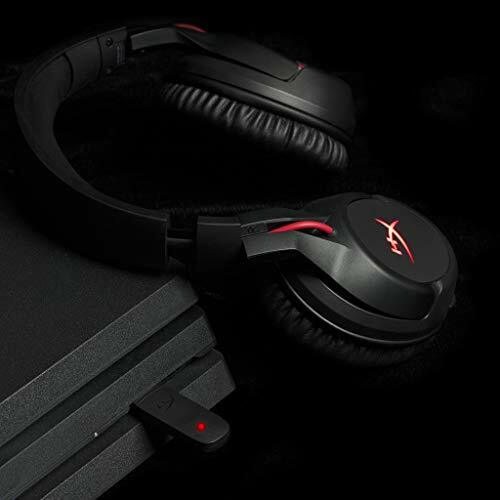 Wireless, Long battery life: Features gaming grade wireless with long lasting battery life. With a battery life of up to 30 hours longer lasting gaming sessions with fewer interruptions from having to stop and charge are possible. Usb charging cable included. Audio: provides rich sound quality with crystal clear low, mid, and high tones. 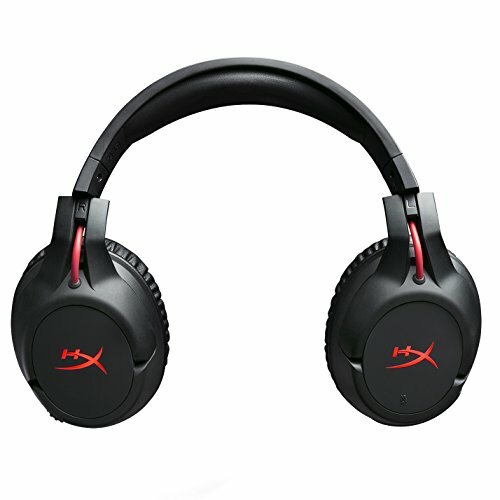 The enhanced bass-reproduction provides a gaming experience Unique to the cloud flight headset. It features 50-millimeter drivers as well as a closed cup design to provide the best sound quality available. Comfort: designed for ultimate comfort, Breathability and longer lasting gaming sessions. Red colored HyperX signature memory foam is made from, skin-friendly, soft, breathable, pliable leatherette, designed for longer wearing. 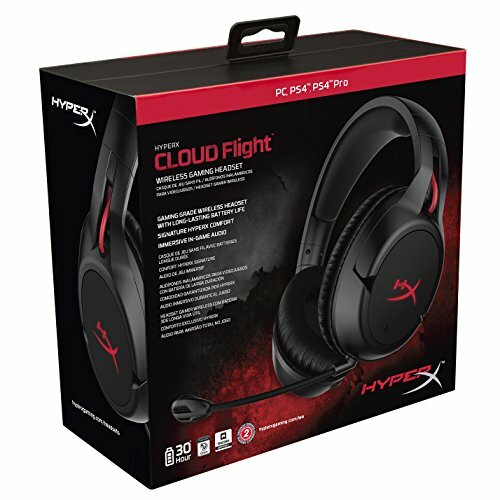 HyperX cloud flight has a lightweight build perfect for long gaming sessions, weighing in only at 300 grams (315 grams with Microphone attached). rotating ear cups are designed for longer lasting gaming sessions, and comfort when worn around the neck permitting breaks in between Long sessions. Multi-platform compatibility: PC, PS4, and PS4 Pro ready. 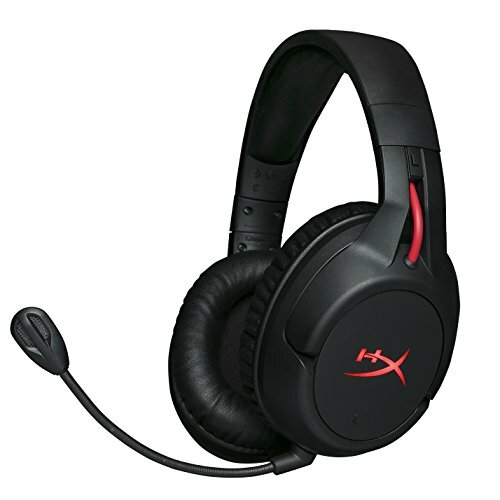 This allows for one headset to be used for both PC and console gaming. Conveniently connect with a single USB Adapter. 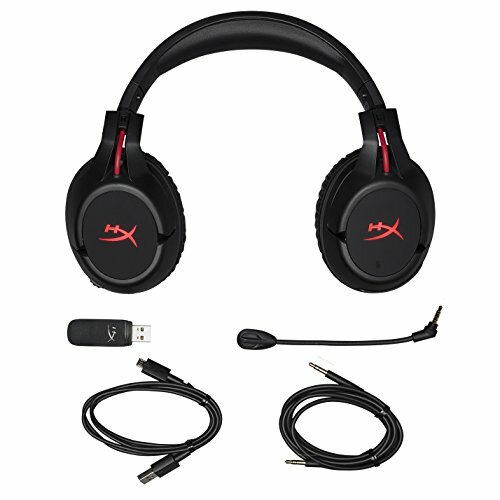 3.5-Millimeter headphone cable included, USB wireless adapter compatible with PC, PS4, and PS4 Pro. Headphone cable compatible with devices with 3.5mm connectors. Usb Adapter included. 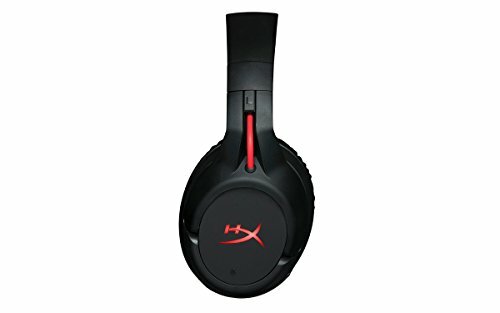 Detachable noise Cancellation microphone: gaming grade wireless for reliable connectivity and communication, quick and Easy to plug in for gaming or unplug for music. Reduced background noise for an improved in-game chat experience. Wireless operates on a 2.4 GHz frequency, Certified by TeamSpeak and Discord. Compatible with Skype, and mumble.